The Belgians were first. Their country pavilion in the Giardini Pubblici opened in 1907 and was used for a nationally curated art exhibition that was an extension of the “Esposizione Internazionale d’Arte della Città di Venezia” which had been taking place there since as long ago as 1895. 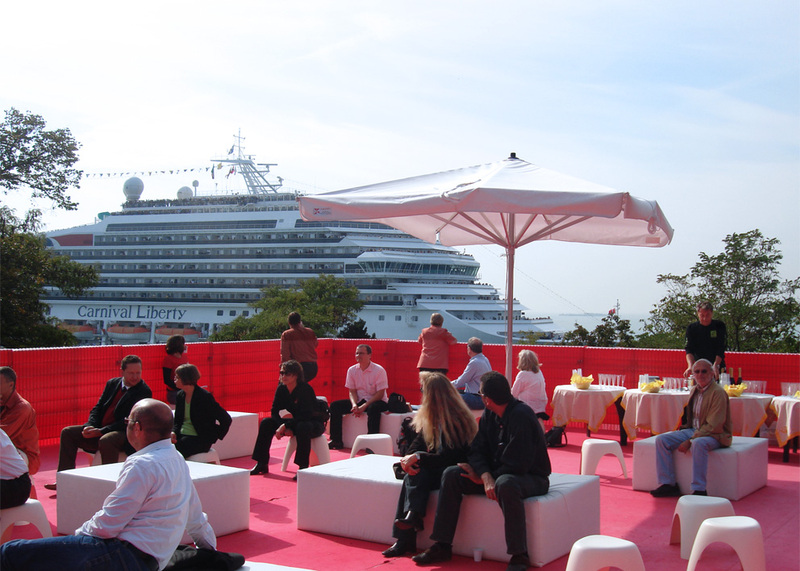 This paved the way for the event to grow and emerge as the Venice international art biennale. Nowadays, the event sweeps through the city every two years. 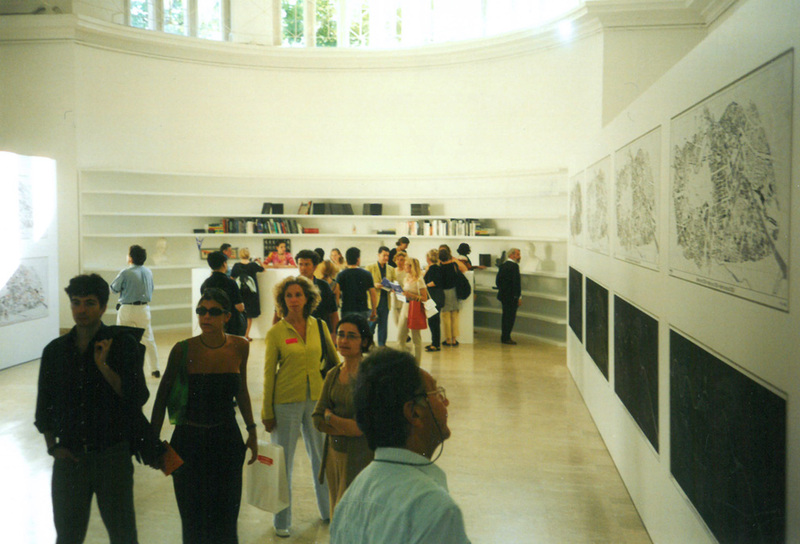 And since 1980 there has been a special architecture version which alternates with the art biennale and has also been using the country pavilions in the Giardini since the 1990s. 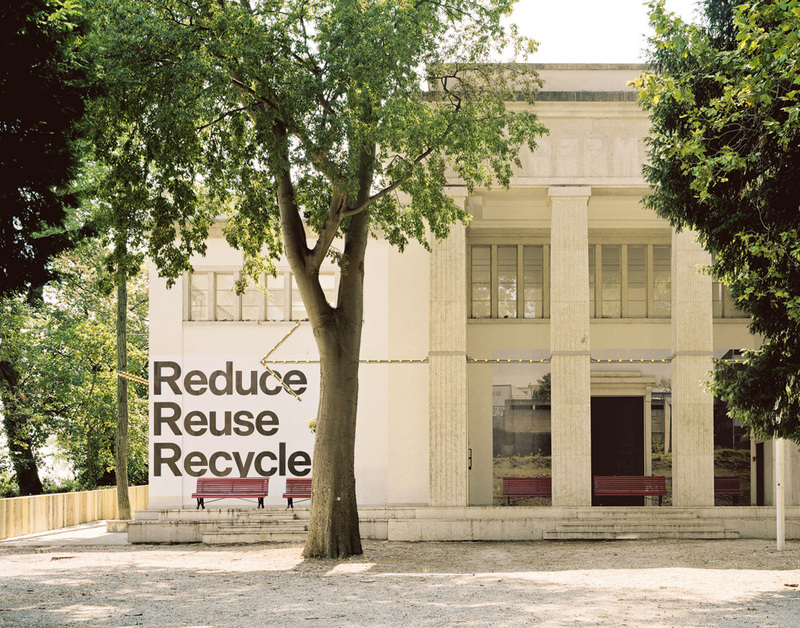 Of the 28 country pavilions built in the Giardini since 1907 the German Pavilion is one of the most interesting – both historically and architecturally speaking. 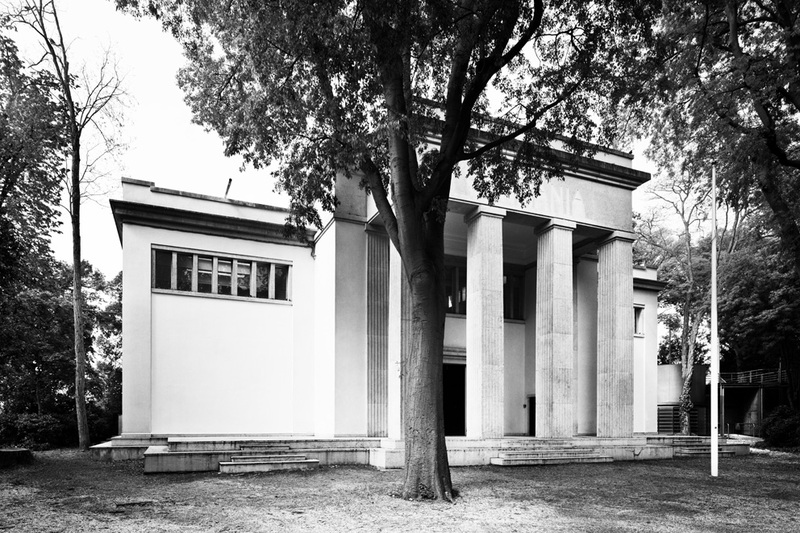 No other building in the Giardini reflects the vicissitudes of the 20th century as clearly as this one which was completed in 1909 and was originally the Bavarian Pavilion. 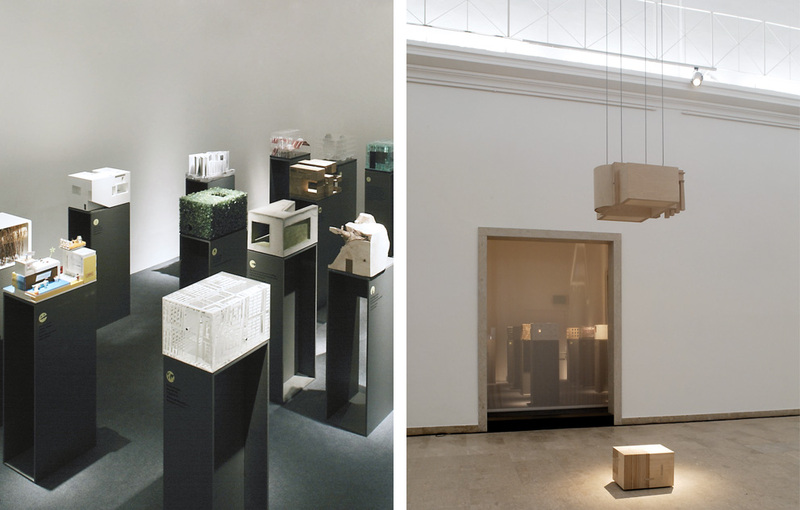 The City of Venice commissioned a local architect who was a civil servant, Daniele Donghi, “to design a neoclassical building in the style of the late 19th century,” as Robert Fleck puts it in his standard reference work “Die Biennale von Venedig”. As early as 1912, its name was changed from the Bavarian Pavilion to the German Pavilion, the “Padiglione della Germania” and the most striking new element of its design was the decorative frieze strangely couched in the style of Classical Antiquity. It was radically redesigned in 1938 when architect Ernst Haiger transformed the Pavilion to comply with the neoclassical style of the then dictators, giving it the look of an outpost of the “Haus der Deutschen Kunst” which had been inaugurated in Munich one year earlier. Since then, the building has remained largely unchanged. The few alterations since World War II were restricted to its interior. For example, neither the white fabric coverings nor the partitions in front of the apse have been preserved and the color of the external plaster has changed like a chameleon from yellow (1909) to gray (1960s), back to yellow and finally back again to a light gray hue. The German Pavilion reflects different facets of German history: Perhaps the most beautiful image of it was made in 2011 by Italian photographer Gabriele Basilico. In the wake of the Belgian and Russian pavilions, the Bavarian Pavilion of 1909 was the third to be built in the Giardini. In 1912 the Padiglione Bavarese (on the l.) became the German Pavilion (on the r.). 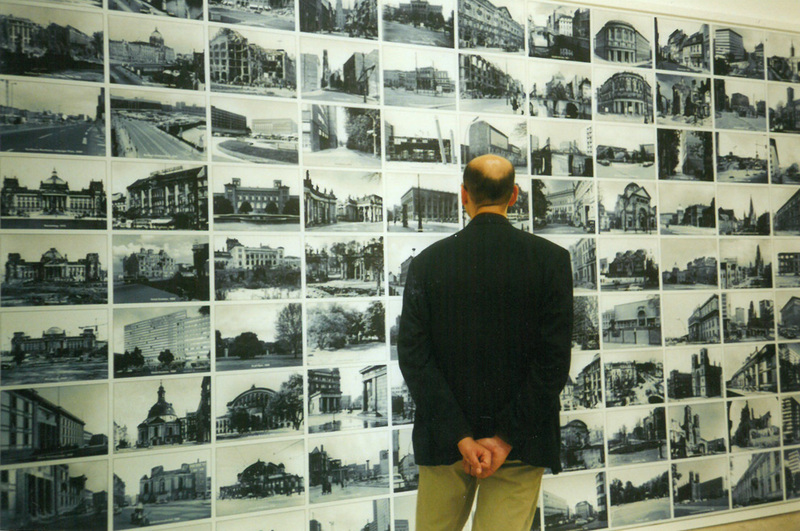 Photographs from the book edited by Ursula Zeller: “Die deutschen Beiträge zur Biennale 1895-2007”, (Cologne, 2007). Germany’s first appearance as a country was in 1991, presenting the face of a unified Germany. 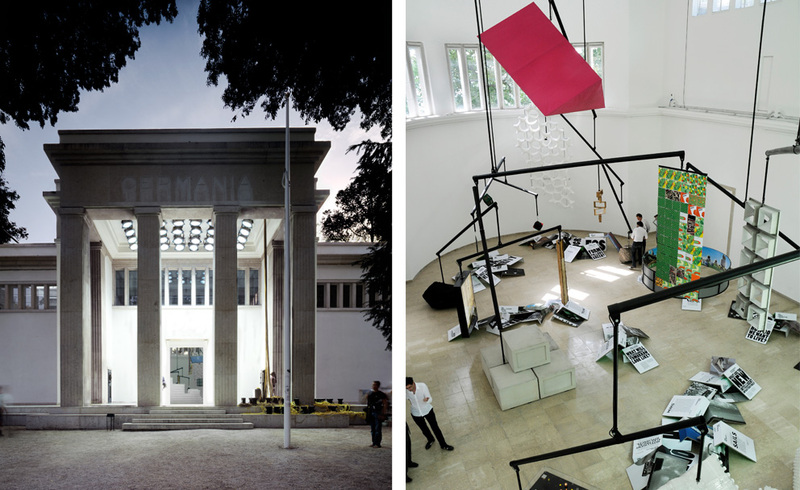 The German Embassy in Rome had, in fact, already turned down the invitation when the then Director of DAM Deutsches Architekturmuseum, Vittorio Lampugnani, heard about it – and he busily assembled a double exhibition in the space of only three months. One section of the show was a Tessenow exhibition taken directly from the DAM to Venice and the other, organized by BDA, the Association of German Architects, and entitled “Vielfalt der Ansätze: Deutsche Architektur der Gegenwart”, was aimed at providing a survey of contemporary architecture in Germany. In a short article about the exhibition, “Braves aus Deutschland”, “Spiegel” magazine breathed an audible sigh of relief – “All-clear: The German entry for the architecture biennale, […] is not about a ‘greater Germany’ but has turned out to be reassuringly inoffensive. 11 not particularly well-known firms of architects are showcasing projects with an honest, but hardly heroic elegance – including a children’s day-care center in Frankfurt, the offices of a broadcasting company in Mainz and a printer’s in Cologne. Only one team in the east of Berlin represents the Republic’s ‘new’ states with ‘Potsdam-Konzepten’. And only one guest appearance, an exhibition previously shown in Frankfurt on the work of the German garden city guru Heinrich Tessenow, really has an international flavor to it.” Lampugnani himself described this hasty selection as a “compromise”, but it was the first architecture exhibition at the German Pavilion in Venice – a building whose Nazi propaganda style was to represent a repeated stumbling block not only for German architects in general, but also for the curators at the architecture and art biennales. However it would take a full five years until the next exhibition in the German Pavilion. In 1996, Kunibert Wachten was appointed General Commissioner for “Wachsen ohne Wachstum?”, an exhibition showcasing the IBA Emscher Park in the Ruhr region. Another four years then elapsed before, in the year 2000, Thomas Herzog and his team came up with “StadtWende”; broadly speaking, this presented the master plan for Berlin’s new downtown area and its “critical reconstruction” under Hans Stimmann – and perhaps, in retrospective, one of the, hardly surprisingly, most controversial entries ever shown in Venice. What had started, in 1991, so “reassuringly inoffensively” with Tessenow and a rather mixed bag of individual architectural pieces began to grow, as of 2000, into a parade of almost all the influential trends in architecture and discourses on urbanism in Germany: “Das steinerne Berlin” was followed by Hilde Léon’s “Nextliegend”, then came the subject of the “Zwischenstadt” in Francesca Ferguson’s take on German architecture in her “Deutschlandschaft” (2004). “Updating Germany” (by Friedrich von Borries and Matthias Böttger, 2008) discussed possible future directions for many disciplines, including the boundaries of architecture. By contrast, Muck Petzet’s “Reduce, Reuse, Recycle” focused on a political and economic approach to existing building fabrics. 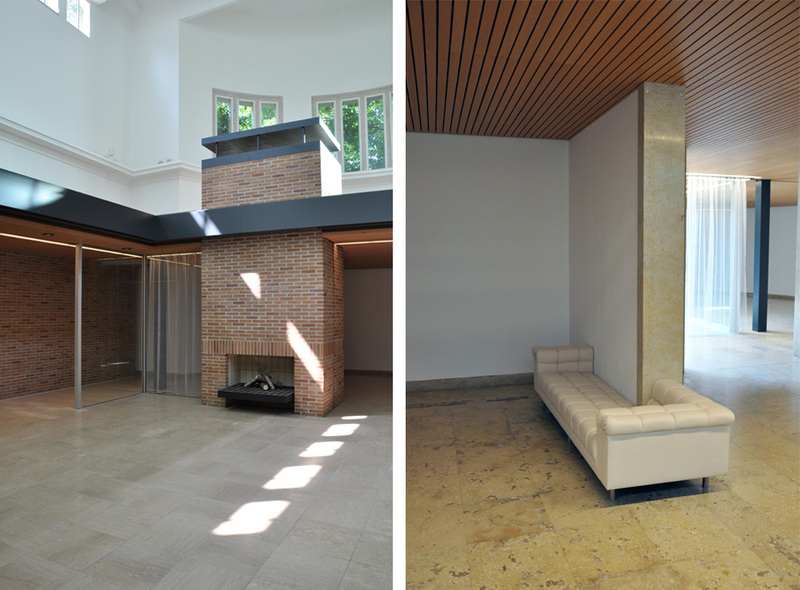 After that, individual buildings were also favored as suitable topics – with Alex Lehnerer and Savvas Ciriacidis (“Bungalow Germania”, 2014) looking for political symbolism, particularly in West Germany, by contrasting the Chancellor’s bungalow in Bonn with the German Pavilion in Venice, to which end they had a one-to-one replica of the bungalow in Bonn built inside the pavilion in Venice. Comparing the successive topics investigated in the German Pavilion, one subject is particularly striking – since 2002, in fact, as of Léon’s entry, “Nextliegend” – the German entries have more and more obviously hinged on projects and have taken the shape installations. They have become the kind of exhibitions which have not simply regurgitated what has been shown at other exhibition locations but have created something specific and especially for Venice. There is no underestimating the significance of this aspect. Because it means that the German Pavilion at the architecture biennale has become the main setting for its own realities. One could almost say that this lagoon city, with its sense of the extraterritorial and hetertopic, is a particularly attractive location for those grand narratives that are looking for the kind of atmospheric setting that the Giardini can offer. 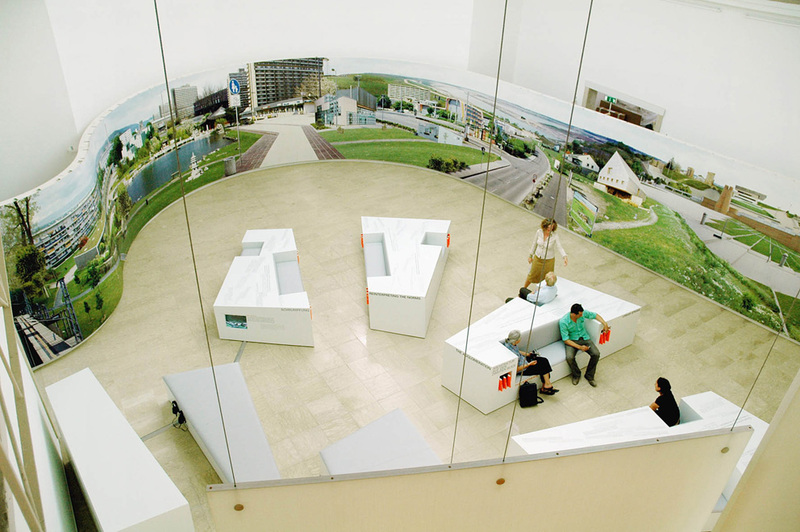 Since becoming one of the country pavilions at the 1991 Architecture Biennale, the German Pavilion has become the only extraterritorial venue among the pivotal locations for the discourse on architecture and urban planning in Germany. As well as one of the most exciting venues. Because of its particular political symbolism, the location itself has repeatedly become the focus of its own debate, one conducted with varying degrees of acrimony about whether this Fascist pavilion is suitable for representing Germany today in the first place – or whether it would not just be better to rip it down. If one includes this debate, which flares up from time to time, then practically almost all of the important controversial issues in the German architectural discourse have been showcased in this pavilion over the past two and a half decades. In particular, “Deutschlandschaft” (2004), “Convertible City” (2006), “Updating Germany” (2008) and “Reduce, Reuse, Recycle” (2012), have had the avowed aim not only to survey a large, themed selection of current projects but also to focus on one subject currently hotly debated in Germany. Presenting these on the international stage that is Venice, they have attempted to press major social narratives into the mold that is an architecture exhibition – the way our everyday suburban worlds are designed, the permanently changing city as an architectural challenge, how the future is shaped or how we handle what is already in existence and in situ. 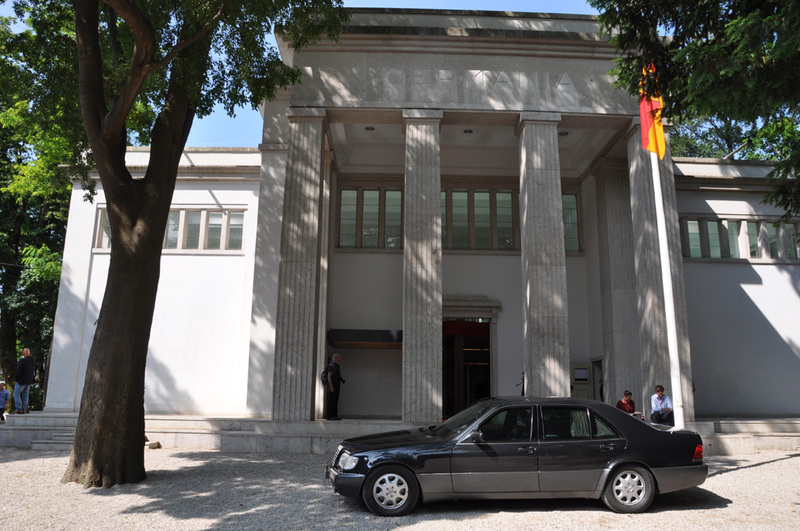 The fact that the existence of a unified Germany approximately coincides with the period over which the pavilion has been available in the context of the architecture biennale makes this edifice and the way it is used a perfect occasion for recapitulating the architecture and urban planning discourse in Germany since its two formerly separate states first became one. And it will be interesting to see all the other subjects presented in the German Pavilion – partly and particularly with a better understanding of what has now gone before. “StadtWende”: In 2000, Thomas Herzog was the General Commissioner for the German contribution while Tobias Nöfer and Hans Stimmann provided the substantive concept. 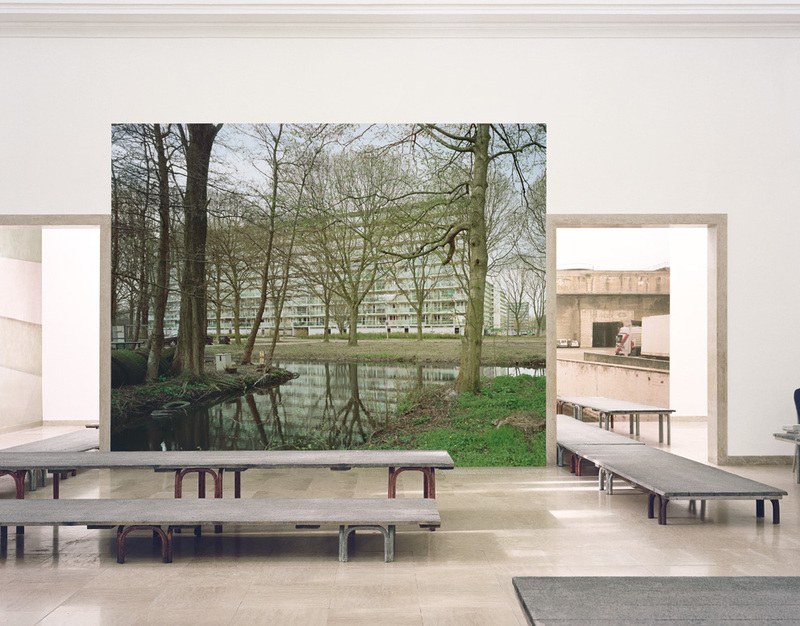 Francesca Ferguson’s “Deutschlandschaft” in 2004 showcased “epicenters on the periphery” and set out on an architectural hunt for gems in Germany’s “interstice cities”.